The HTC Vive VR Cover is so comfortable it will make you want to spend more time with your Vive. 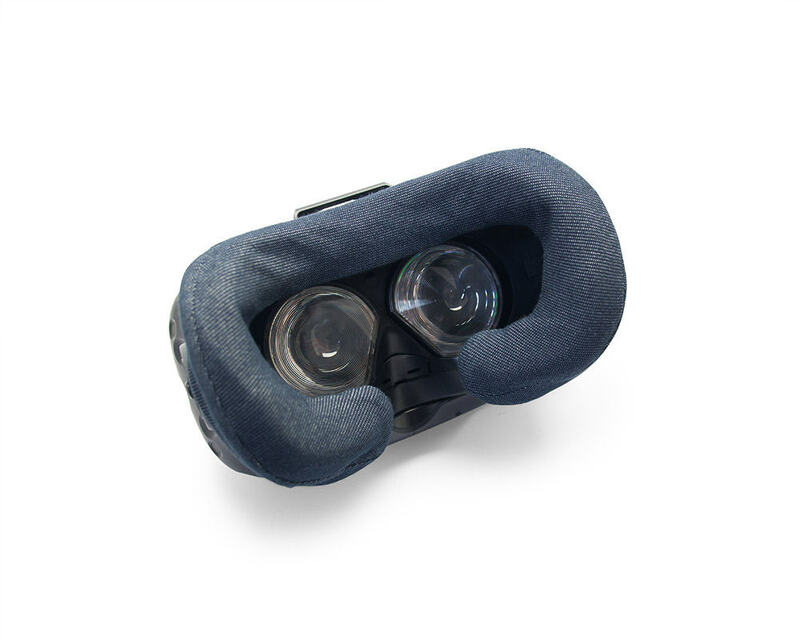 Each cover has two layers of 100% cotton which absorb moisture, a feature that comes in handy during active and sweaty VR experiences. When it is time to clean the cover, simply pop it into the washing machine, attach the second cover and you’re good to go for hours on end. 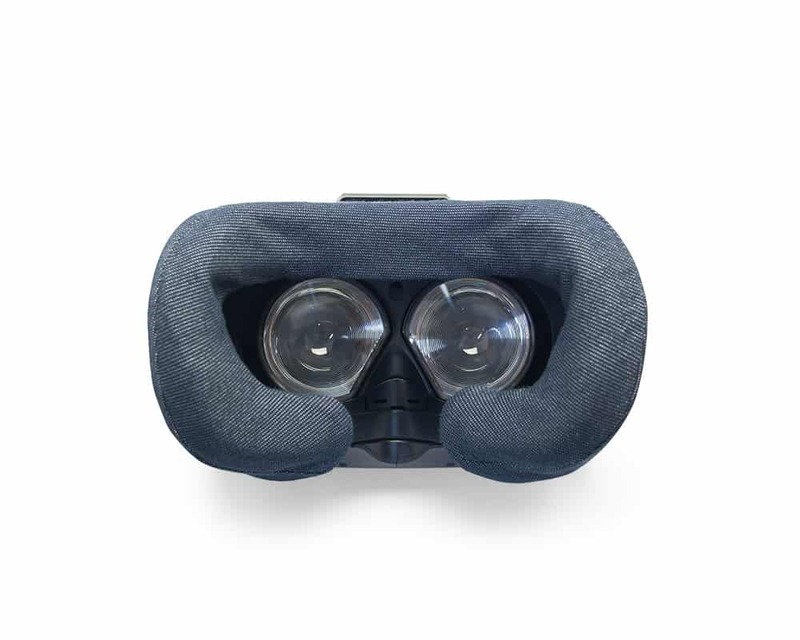 The cover is designed to fit over the original HTC Vive foam padding (both small & wide versions) and is attached with Velcro straps. Available in red, blue and navy. Try our HTC Vive VR Cover! 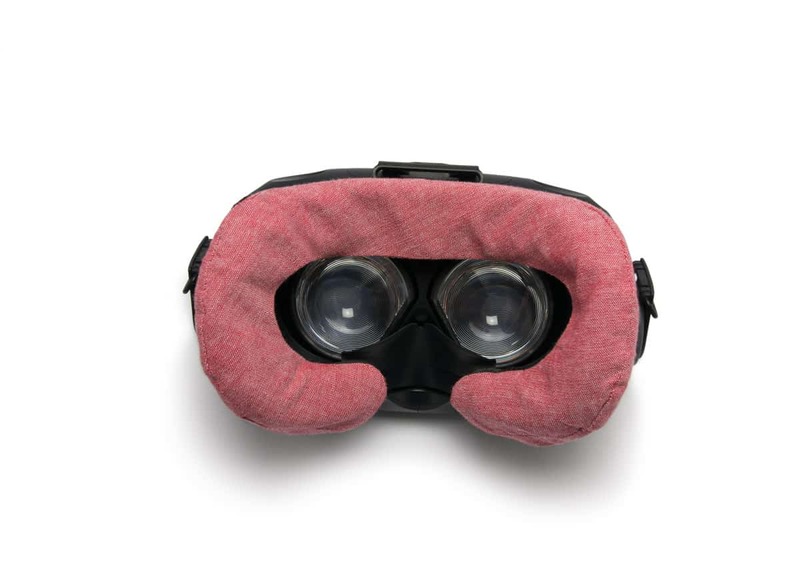 What are the tabs for on the HTC Vive VR Cover? Those are velcro tabs to hold the cover on the headset. To install it on the headset, pull the foam away from the face plate and tuck the tabs behind the foam and press against the face plate again. Does the HTC Vive VR Cover also work for the HTC Vive Pre (Developer Edition)? Yes, the face foam padding is identical on the Vive Pre and the final consumer HTC Vive, so our VR Cover works on both. Is the HTC Vive VR Cover easy to clean? Yes, it is made to be washed just like other clothing. 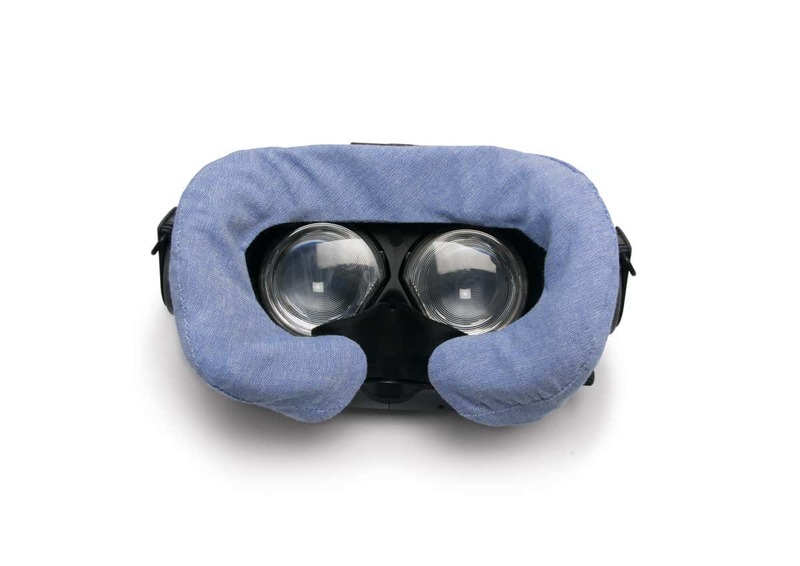 The VR Cover absorbs sweat and facial oil and should be washed on a regular basis. For the best care, we recommend machine-washing it on cold setting and drying it in the shade. Does the HTC Vive VR Cover affect the FOV of the headset? No, our VR Cover adds less than 1mm to the face foam, so your field of view basically remains the same. Care Instructions: Machine wash cold on normal/cotton setting and hung to dry for best care.